Good day dear readers! I had originally intended to bring you this blog last week, but there was a little trouble with my WordPress account, so I had to sit on this delicious review for a couple of days. I hope that you enjoy it, and of course, if you have not read the book - you need to! It is one of the more fascinating reads I have completed in a while! The skaa have been beaten into submission. They keep their heads down, work hard, and do their best to survive. Some dare to dream of something more in the Final Empire. Kelsier has begun to plan something larger than the Final Empire has seen in centuries - an uprising that will destroy the Lord Ruler and free the skaa from the meager existence that they are eking out. While he begins to build his team, he has once again recruited several men that have worked with him before, but he is also looking to bring on another member - one that has hidden powers, that they do not fully understand themselves. As he brings Vin into the crew, her demeanor is one of distrusting and wariness. She does not trust these men, even though they appear to be a lot closer than most of the crews that she has dealt with in the past. Her last crew was one of pain, hunger and humiliation. Members would sell you out for the smallest offense. Vin learned early on to keep her head down and keep to herself as much as she could. Kelsier has started a small rebellion, one that started with the killing of a nobleman on a plantation - while the skaa hid in their homes. He has built a name for himself. He is a survivor of the Pits. The pits of Hathsin are a desolate place, one where people are sent to die. The atium that the Lord Ruler hoards so closely is mined there, and it is worth a fortune. No one has ever returned from the pits before, so Kelsier has become a celebrity in the underground networks, a person who should not be alive but has defied all the odds so far. As talk of rebellion begins - Kelsier lays out a plan so daring, most think he has finally lost his mind and is wandering around insane. Death does not scare him, and yet he is willing to lead others into danger to accomplish the task that they have been asked to fulfill. As Vin and Kelsier begin working on the powers that lay hidden within Vin, she learns that she can do so much more than soothe the people around her. While it is a good power to fall back on, there are so many other areas that she did not know she could access. She is a Mistborn, an allomancer. Allomancy is the mystical power held by the nobility, granted to them by the Lord Ruler some thousand years before as a reward for their loyalty. Skaa are not supposed to have these powers, and anyone who shows knowledge of them without being of noble birth is slated for execution. While there are some skaa who have these powers, they are few and far in between, and they have to be extremely careful, as they are hunted by the Obligators and the Inquisitors, who stifle any form of rebellion or security risk to the Lord Ruler quickly. Oh my! If you have not read this book before, you need to do so! I was immediately transported into the book, and hours would slip by before I realized, I should probably be sleeping or working. In my head I kept singing "Radioactive" by the Imagine Dragons as I was adventuring through this book. 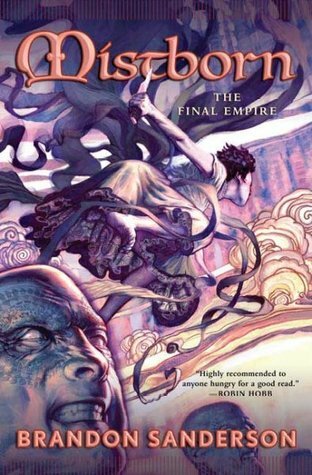 Brandon Sanderson draws you completely into the pages of his novel, and does not release the hold he has over you at all. This is the first book in a series of three - so be prepared for an epic journey! Pack your favorite treats and drinks and settle back on your couch for a vacation that will leave you breathless. This is one book that honestly will make you sit on the edge of your seat and wonder what is going to happen next - the twists, the turns, the secrets.... they are all there waiting for you to discover them!! More twists and turns than a wadded up roll of duct tape…. which in this case, could have been extremely useful! Vernie Stordock was a family man, respected police officer and all around great guy – until the night he was murdered. 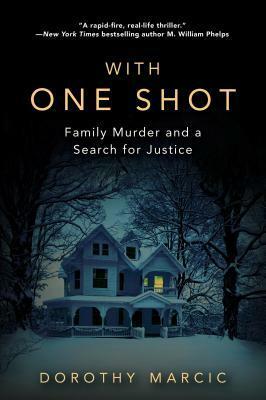 It was not just murder… it was the slow systematic wiping out of any life he might have had before he met Suzanne. His niece, Dorothy and his daughter Shannon have had theories and questions for years. Dorothy finally decides to see if she can get to the bottom of the story, and begins to unravel the mysterious surrounding involving Suzanne, her children, and of course – how in the world a professed murderer gets only 11 months in a mental hospital to be “cured” and released. Now the juicy parts of the story. You are going to hate Suzanne. You have to. The entire story reeks of narcissistic/pathological issues that you can see building through the fabrics of the relationships she had before she met Vernie. It was Suzanne or the highway.. her way or no way. Somehow, she always got exactly what she wanted. She used her body, she used threats, and when it came down to it – violence (for real, exactly how MANY bodies have to accumulate around someone before it gets questioned). But I digress, we are discussing the Vernie situation here..
Suzanne admitted her role in the murder, explained how she did it, and then somehow manipulated the system to barely spend any time in prison, walk out smelling like roses, and managed to claim the entire estate of Vernie, and then some. She was not happy to walk away with the life insurance, she had to hurt his first family by taking half of everything they had, just because she could. This book… this book is a hard one for me to rate and review. I liked it, I hated it, I questioned the author and her true motives. I wanted more. I wanted to see more answers from the departments involved, the DA, the ADA (who was disbarred), the Sheriff, and most of all, the doctors who allowed this woman to outsmart them. She played each and every person like a fiddle and they sang the exact tune that she wanted. Beethoven would have been proud at the master theater production she managed to concoct and have everyone swaying to her own personal waltz. I had to admit, I got a little irritated with all the “we had an instant connection” “they were wearing a….” moments. I don’t care what someone is wearing. This book is not about clothing and fashion, or the sound of someone’s voice. It was a fact, theory expounding, nail the murderer of her uncle book. I honestly could not tell if the author was satisfied with the findings of the case by the time the book closed. It felt to open to me. Why was David never fully questioned? How in the world could they not go back and amend the charges? There is no statute of limitations on murder, and the fact that the person they suspected was now dead had nothing to do with it. Suzanne was a liar, and that was enough to throw everything out the window and start again. Sadly, the records from the case have mostly been destroyed and many of the people who knew anything are also passing away. This case is a huge miscarriage of justice, and the family of Vernie Stordock never got full closure. As I worked through the case putting the evidence together, it never fully fit to me that Suzanne was the person who pulled the trigger. She was a master manipulator, and would get anyone else to do their work for them (i.e. she even used her own step-daughters research for her thesis/dissertation). Suzanne was not mentally ill, she did not have a lapse in judgement, and I very highly doubt that her husband was ever violent towards her, unless he was protecting himself from her. She manipulated each and every situation she was in. Full blown narcissistic behavior, and more probable, a high functioning sociopath. This woman was the very epitome of evil, who used her children to get what she wanted, and ignored them the remainder of the time. For them to have stuck with her as long as they did, I was surprised, but then again – manipulation goes a long way and when you have been conditioned since childhood with it, there is not much you can do to get away from it. Like I said above, I had a hard time rating this book. I felt it was really rambly in a lot of ways (kind of like my review), but I think she started off on the right track. If she had stuck to the case, and not let emotion sweep through (hard because it was family), it would have made a more cohesive read. I wonder now about the family of this master manipulator, and how much they truly knew about the “unfortunate situation”. Elle has done a good job of managing life. Her mother is certifiable, and the mood swings can take a toll on her. However, life has a way of taking a detour, and Elle is fixing to stumble on a huge secret - one that her mother has kept buried for years. When Anna Marie was growing up, she had a rather dysfunctional childhood. Her father was a long haul trucker and her mother - well her mother lived in a world all her own. Gertie lost many of her children, and they were all buried in the backyard. David would weave stories for his little daughter, weaving a fantasy world that will stay with Anna Marie for the remainder of her life. As much as she loathed her parents, she used that same fantasy world with her daughter Elle. Brennley, Elle's best friend and roommate is also a fellow nurse. Together they weather the storm of losing patients and battling the emotions that come with it. Brenn and Elle balance each other out. While Brenn knows the background of Elle's mother, their past is as much of a secret to her. One of her patients, a man dying of cancer, becomes more than just a patient. Brennley is becoming more and more attached to the lonely older man. But as they become closer - a bit of Elle's past is opened. Brennley calls her, reading a letter that David has written. She believes that Elle is the granddaughter of the man in the hospital bed. Elle does not think so, her grandparents are dead - it is what she has always been led to believe. But secrets have way of reaching the surface and this one is about to put her entire family on a roller coaster that is going to take many twists and turns. Buckle your seat belt, and get ready for a story that will literally knock your socks off! A missing child, an imaginary friend, and the secrets of the past have come back to haunt Elle. As she listens to the stories that David tells her from his hospital bed, she believes that they are made up - at least at first. As her mother becomes more and more unhinged, Elle begins to wonder what really happened, and who Bella really was. By continuing to delve into her mothers past, she begins to push against the history that she has been told, and comes to not only love her grandfather, but wonder what her own future is going to hold. But before her world entirely gets turned upside down, there is one major secret that her grandfather has been hiding - and it could entirely destroy her mother. OH MY GOODNESS. When you sit down to read this book - do not start it late at night! Book hangover material! The twists and turns that Steena Holmes weaves will keep you guessing, and wondering. As the story progresses, you begin to really feel sorry for David. Choosing between a wife or a daughter is not a decision any person should have to make, but when you are hiding an even darker secret - life becomes a torment. Elle is determined to find the truth, but her mother is becoming more and more unhinged. This book is one that will make you laugh, it will make you angry. It will leave you horrified and mystified. Ya'll this book has it all! There are no disappointments, no letdowns, just page turning electricity. If you have a weak stomach, can’t handle real life situations or bad language – then this book is not for you! This book gets down to the real life, dirty, heinous side of life that police officers deal with on a daily basis. This book will not sugar coat, give you warm feels, or wrap you in teddy bear hugs. 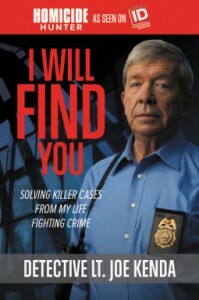 Lt. Joe Kenda breaks it down, and takes you on an inside view of what his life on the police force was like. 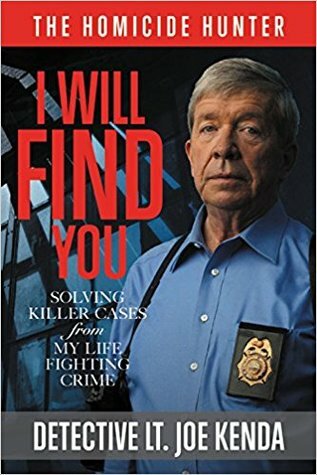 I will start off with saying, I admire Lt. Kenda. I have been watching his show on TV for the past couple of years, and have enjoyed each and every case that he has presented. I like his honesty, and the brutal assessment that he uses. He has a no bar hold view and for me that says something. This is a person where you know where you stand, and if he is coming after you – you can run but you will not get far. He is relentless, and he will do whatever it takes to bring you in. We see the glamorized view of police work on television all the time. Life must be good, right? Well, think again. Each of these cases stick with the police officer. Each face, each horror show is different. As you work through the book, you are confronted with many different facets of life. Homeless victims, murdered children, suicides, and so much more. This book takes you on a walk that is much different than many that have been published, and it is definitely not for the squeamish. Each smell, each fear, each new scene is described so you feel as though you are walking through the crime scene yourself. You will also experience many different emotions through this book. Anger is the one that you are going to experience the most. Many of these cases leave you wondering WHY. They are finished, closed, and put away. But the motives, the cause and effects can leave you scratching your head at times. There are cases where they for sure had it coming, and you are almost cheering for the person who finally took them off the street, or out of the way, but the innocent victims are the ones that stay with you. Toward the end of the book, Lt. Kenda briefly describes some of his nightmares. I read through them, walked away, and then came back and read through them again. I laughed at the reaction of the doctor that he went to see (and I hope he got his money back from that visit), but I sat back and had to combat the “mom feels.” The terror, the horror, and the relentless feeling of pursuit is something that won’t go away, but hopefully through the telling of these stories, and the gut-honest truth portrayed on these pages, some peace of mind will be found. I absolutely LOVED this book. I loved each case, each moment, each “GOTCHA” scene. Like I stated at the beginning – this book is NOT for everyone. This is very much a mature audience only read, and one that should not be taken lightly. Read at your own risk! Catching up from the weekend! I hope that each of you had a great weekend! I did not get anything done! We were running all over creation in the attempt to get travel plans ready, kids bowling tournaments, and so much more. I am finally sitting down and wondering, where in the world did the last two days go? I am picking up a book for the first time since Thursday night. I laid down Friday with the intention of reading before I fell asleep, and did not even get the cover open before I flat out crashed. I must have been more tired than I thought! It feels good to even have a book in front of me at this moment. LOL, who would have thought I would ever be content just looking at a book. But hey, I will take what I can get! Here is hoping that you got some reading in this weekend! Share what are you reading right now! 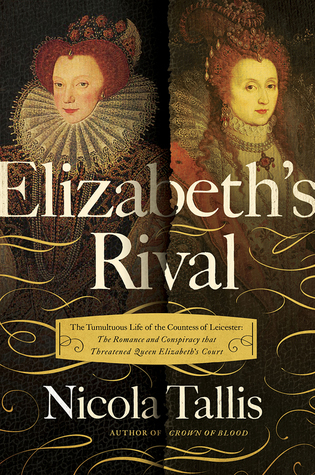 I am going to finish "Elizabeth's Rival" by Nicola Tallis.... and then possibly dive into another one. I am still fighting the Netgalley dragon, but I am getting better! I am not requesting any more books until I get some more of these ARC's under control. Share your current reads and how many books you have read this year! Books.. I can't get enough! I think this year is going to be one huge read-a-long. I absolutely love to read, but this year, I am plowing through books as though they are going out of style. So far, I have read 25, and I am working on four more. Now, if I could add them all here - I would! Not all of the books are listed yet, and I am not sure that I am completely comfortable adding the information into the system. I still use Goodreads to track my reading, (although some of the books are not listed there either), so on top of the two sites, I also have a book book. I write each book, with the author and number of pages. I can track by month, and of course, by year. I break down the pages read by month, and then add them up for a total number at the end of the year. I love technology, but I still love the paper and pen method. Many of the books I am reading right now are advanced copies, but there are some that I am reading for pure pleasure. That is the best part of reading - the joy that you get out of reading something, and then you can't stop thinking about it. I learned something new recently. I was having a hard time with audio books, and a librarian told me that you have to listen to the audio at the same time that you read. I had no clue! OH MY GOODNESS! What a difference it made! I am whipping through the audio books while working, and then sitting down with an actual book at night. There is nothing better than unwinding with one of your favorite characters or falling in love with a new character. I enjoy sharing these random and fun posts with you! 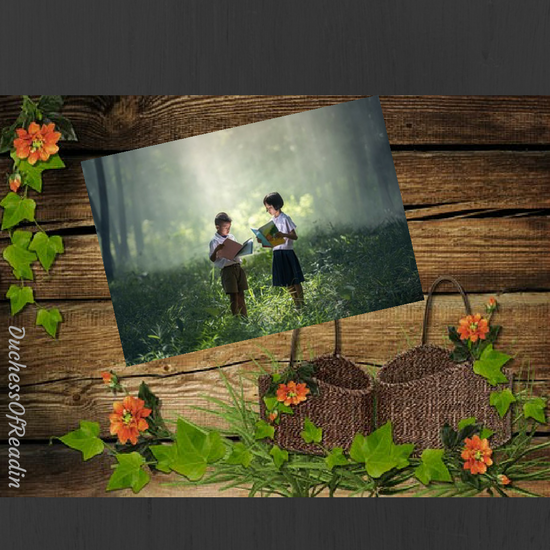 Thank you for reading my ramblings, and of course, sharing in the love of books! Happy February! Can you believe that we are blowing through this month like crazy? I am not ready for February to end and March to roar in. I have been reading as much as I can with the free time that I have managed to carve out this month. I have spent most of my time this month adventuring with the Emerson family from the Amelia Peabody series. I have read through six of them so far, and just started my seventh. I absolutely ADORE these books. They bring laughter, edge of the seat adventure, crime, archaeology, EGYPT, and MORE! I am slow in adding them to my "read" list on here. It has been one to do after another this month! I am working on blasting my reading out of the water this year. In one of my previous blogs, I posted about NetGalley. I am here to report that I have quite a bit of reading ahead of me, and a few from Edelweiss as well. I really MUST stay away from those sites! There are some fantastic books coming out, and I want to read them all! I have created a word document to manage the books that I have, with dates that they must be reviewed by, so as not to lose track of what is on my kindle, and what needs to be picked up off the shelf to read. I have to say that while I have found several that are sure to be best sellers, there have been a few stinkers. Which brings me to one of the questions I want to pose in this blog..
How do you tell a publisher that you just could not get into the book? There have four this year that I have not been able to finish. I enjoy reading several different types of books, and subjects - but there have been a few that really need a better editor! While spelling errors and - even sometimes the grammatical errors - can be major distractions, there are just some books that make you scratch your head and wonder why they are being published. I have been honest with the publishers. I thank them for the chance to read the ARC, and then tell them why I could not get through the book. But there are many ways to deal with this conundrum. How do you go about letting someone know that you did not enjoy their book? Kate Carey is the daughter of Mary (Carey) Stafford, and niece to the queen of England. While she chaffs under her mothers care, angry at the world, she longs more than anything to be at court with her aunt, where she is sure that she will be more loved than she is at home. Mary Stafford wants nothing more to protect her daughter from the intrigue at court, but she is holding secrets of her own, that Kate knows nothing about. When Kate finally gets to court, she is blown away by the secrets and the scandal that seem to run rampant through the court. Her aunt is unhappy, and seems preoccupied with everything but her niece. Kate begins to wonder if coming to court was a good idea. As life in the palace begins to calm to a norm, there are more issues that arise, and her aunt, Queen Anne begins to fear for her life. Factions at court are working to bring her aunt down, and Kate finds that her loyalty is pushed to new heights, defending and comforting her aunt. As the road for leads to the Tower for Anne Boleyn, Kate is more determined than ever to stick next to her aunt - until whatever the end might bring. Great read, and very enjoyable! This is one that will keep you engaged from page one. Definitely worth the read. While I am not a fan of the Tudor's, I enjoyed this book told from the perspective of a fourteen year old girl, while learning an entirely new way of life. **I received an ARC from NetGalley for a fair and impartial review**Thank you NetGalley for the chance to read this book. This story is spread out between three women - three women who are strong willed and unwilling to conform to the world around them. They fought, loved, and lived through some of the most troubling times in history. Aveline who has her life arranged for her by her family, but wants something different. Vi, who refuses to sit back and watch the world change around her. Ellie - who wants to unlock the secrets of her grandmothers life, but unwilling to budge on what she sets her mind to. 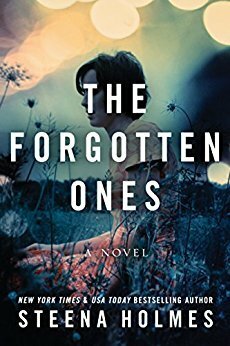 Ellie wants to know about her grandmothers past, and the secrets that are locked within the confines of her mind. Alzheimer's has ravaged the once clear and brilliant mind, leaving her millions of miles away - not always knowing her granddaughter, or where she is. The secrets that haunt her grandmother send Ellie off on a search for the answers - all the way to France. Once there, she encounters Quinn, who holds almost as many secrets as her grandmother. As the stories flip between Aveline, Vi and Ellie, the past comes to life once more. Aveline's story really spoke to me. The French Revolution was a dangerous time. But her concern was not the money or the social standing. She bucked convention and tried to help those who needed it the most. Instead of marrying the man that was set before her, she found love in one of the most unlikely places, with someone who was willing to look past the scars and accept her for who she was. Vi was someone who wanted to do her part in the war, no matter the cost to her, because she believed in what they were fighting for. I really enjoyed reading through this book. It held my attention throughout, and the flipping back and forth was not really hard to follow at all. Get to know author Mercedes Rochelle! Good day!! I got to know Mercedes while reading and reviewing her book "Godwine Kingmaker." I have enjoyed getting to know her as we message back and forth! I hope that you will enjoy getting to know her a bit more and check out some of her works! Hi Mercedes, thank you for agreeing to this interview. Tell us a little about yourself and your background? Good morning, Rebecca. Actually, I was a late-bloomer in the history department, having avoided the subject in my college years while I pursued the 19th century English Novel. Once I discovered Living History groups, I suddenly "got it", and my first novel was a blend of Shakespeare's Macbeth and 11th century history. I didn't recognize Historical Fiction as a genre until much later! In my twenties I moved from St. Louis to New York to be near the center of the publishing world, but success evaded me and I put my writing career on hold until a few years ago. Was I in for a big surprise! I hope to help expand the new sub-genre called Historical Faction, where history is more important to the story than the love interest, or the imaginative plot that just happens to take place within a certain historical background. All too often the real history comes to us in something like "sound bites" without any depth. I want to make these people real; I want to take the pain out of learning history. I doubt whether I'll get rich in this endeavor, but that's where my muse is taking me. My biggest inspiration was Alexandre Dumas; I loved The Three Musketeers so much I even learned French so I could read it in the original language. Even then, I didn't recognize it as Historical Fiction. Then I fell in love with Arthur Conan Doyle and his Historical Fiction novels—Sir Nigel and the indomitable Brigadier Gerard. 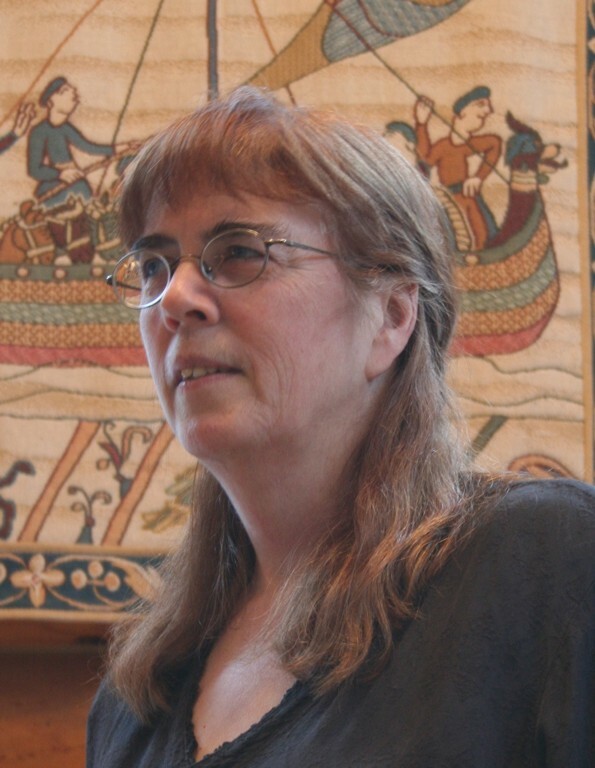 More recently I enjoy Sharon Penman; she has always been the definitive source for me on the Wars of the Roses. And Colleen McCullough has opened up Ancient Rome to me in a way no one else has been able to touch. So far I have written four novels on 11th century Britain. My first, HEIR TO A PROPHECY, I call a sequal to Macbeth, because I always wondered what happened to Banquo's son Fleance. Researching this book sent me backwards to the beginning of the century, as I became fascinated with Earl Godwine of Wessex, the father of Harold Godwineson who lost his crown at the Battle of Hastings. 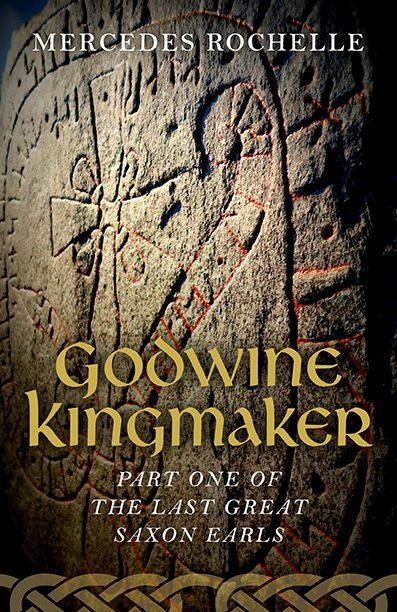 This turned into a trilogy, THE LAST GREAT SAXON EARLS; first I wrote about Godwine (GODWINE KINGMAKER)—who rose to power in the reign of Canute—and his family. 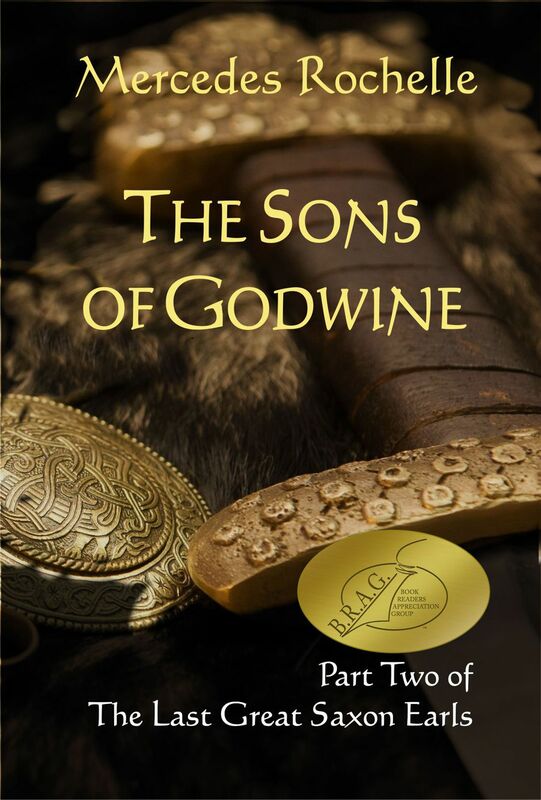 Then I went on to explore the sibling rivalry between Godwine's sons (THE SONS OF GODWINE and FATAL RIVALRY). I always felt that Tostig has been unfairly branded as a traitor, and I wanted to learn what drove him to fight against Harold at the Battle of Stamford Bridge. I do not doubt that their rivalry brought England to its knees in the events leading up to the Norman Conquest. But nothing is as simple as it sounds. I have jumped forward 300 years to Richard II. Once again I was inspired by Shakespeare, whose play about Richard struck a chord with me. I had no idea how complicated his reign was. My current project promises to be three or four books. Richard II, who came to the throne at the tender age of 10, spent the first ten years of his reign in conflict with the great nobles who did everything they could to control him and hang on to their own power. Richard finally got the upper hand and proceeded to wreak revenge on his enemies, though in the end he went too far and lost his crown to Henry of Bolingbroke. Richard is going to take two books! Then I will continue with Henry IV and his resentful son Henry V.
I sell real estate for a living, which is seasonal work and my schedule changes every day. I get a lot of writing done in the winter when nobody wants to look at houses! Everyone has strengths and weaknesses. I am weak at plotting a novel from thin air, so I am quite grateful that the histories give me direction. I am strong at weaving together a narrative, like putting together a jigsaw puzzle made from pieces of histories. How and why did we get from point A to point B? The more research I do, the more the story writes itself—with lots of extrapolation from yours truly. As they say, fact is stranger than fiction and I am a firm believer in that. The hardest part is deciding what to leave out. Sometimes, an important fact is just not exciting and I have to figure out how to introduce it without derailing the narrative. Getting started each day. I resist firm routines, so standing up at my writing computer has to fit into my day somewhere; I admit it—sometimes I miss a day or two. In my previous writing session I like to stop in the middle of a sentence; this serves to jump-start the next day's composition. I usually go back a page or two, do a little editing, and by the time I get to the half-sentence I can just keep on going. Having finished! OK, that's too easy. I like the revision phase because for me, the hard work is in the first draft. I struggle to get all the facts down which usually means keeping four or five history books open and agonizing about which interpretation fits my narrative best. I go back and forth between them ad nauseum before I commit myself. In the revision phase I get to add in the creative stuff: the imagery, the transitions between scenes. This is difficult in its own way, but it's more satisfying. Four Mary's sent to be of service to Mary queen of Scots as she prepares to leave Scotland and start her new life in France. Married to the dauphin, she is expected to be the queen of France for many years to come. When the young King dies early, the young queen returns home to Scotland, she is hoping she can slip back into the land of her birth, but she soon finds that there are factions within the country that are not quite as happy with her return. 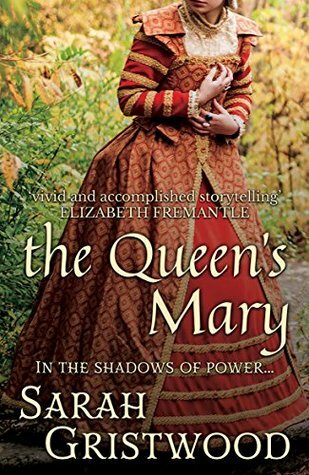 The story of the four Mary's was a fun read, although some of the facts seemed a little more skewed, Sarah Gristwood pulls together the story of the four ladies who stuck with their queen through thick and thin and did all that they could to keep their queen safe. 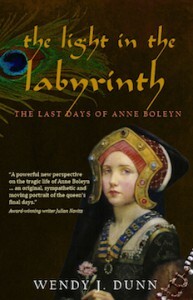 The main character is Mary Seton, and her tales weaves from the leaving of Scotland, to the end of Seton's life. A fun and interesting read! If you loved the Scarlet Pimpernel, then you are going to love this book. Julia Dandridge is back to visit friends in the state of Virginia. Around them, the Civil War is raging, and many families have been torn apart by the ravages of war. As she attempts to fit back into the mold of familiar surroundings, she is struck by the coldness of her once dear friend Landon Graham. Instead of welcoming her back to the home she lived in as a child, he seems angry that she is even there. Living with the weight of the death of his brother, Landon cannot seem to rejoin the world that he once so enjoyed. Instead he drinks heavily and hides himself away in his room. With Julia there, small snippets of the past seem to slip through, only to be replaced with the cold contempt that has become his norm. But the war is not one where women sit silent. Many women are involved in listening to the conversations around them and gain valuable information that can be used for military intelligence. Julia has been told that her brother is being held in prison, and that he will be hanged as a traitor if she does not help figure out who the Lion of the South is. The Lion of the South has been raiding behind the enemy lines, making off with prisoners and officers alike. No one knows where he will strike, and he seems to come and go like a ghost. 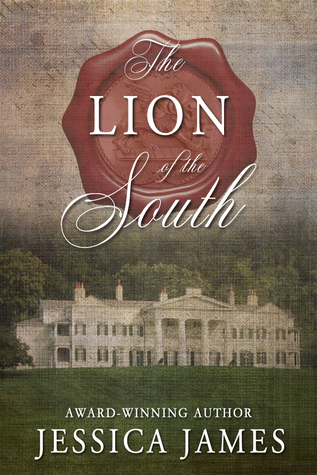 Julia is offered her brothers life in exchange for the Lion of the South. As she prepares to give the information, she finds that someone she is extremely close to may be involved, and may cause her to not only lose a brother, but the love of her life as well. I enjoyed reading this book, but from the middle of the book on, it read just like the Scarlet Pimpernel in a different setting. The legend of Arthur is one that has lived through history. Mike Weatherley brings the legend back to life in the form of a military officer who lost his entire family. While wishing for death, he remembers the stories that his father told him when he was younger. As he heads off in search of the raiders who killed his family, he hopes for death wishing to get back to his wife. As he works through the countryside, he comes to another military unit, one that bears his family name. He and his brother do some quick talking, and Ambrose manages to pull the ancient sword from its sheath on the alter. Everyone is silent, as they stare at the man who has become their new Arthur. 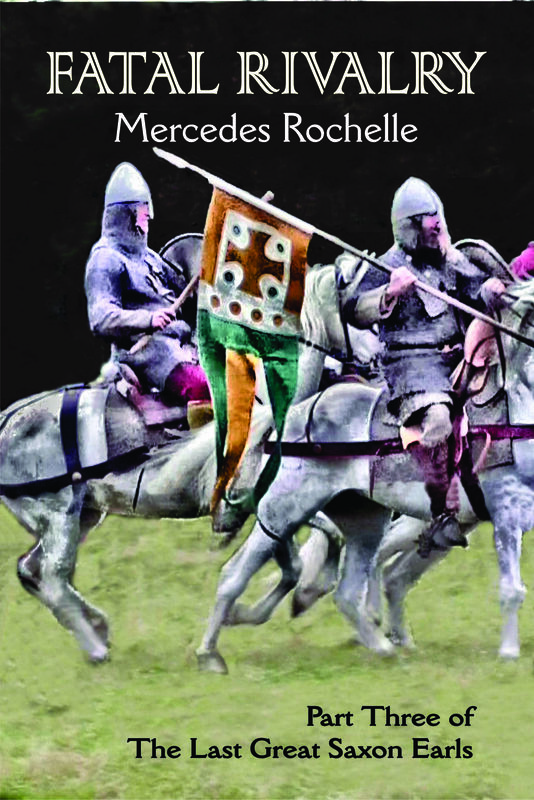 Leading the troops through the countryside, they come to the rescue of the countryside who have been harried by the Anglo-Saxon pirates. Ambrose is after just one though, the one who left a silver horse in his wife's hand. He found it on her body as he prepared her for burial. While Weatherley is a little wordy, the book was really good. 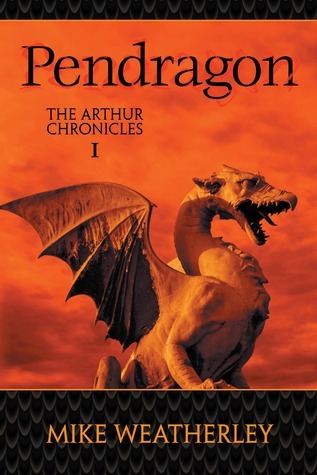 There were a few places that were slightly historically inaccurate, but the book in itself does a great job in setting up the legend of Arthur to take off on another spin. Get ready for another dive into folklore. I cant wait to see what follows this one! Did you ever stop to think what your money can do for you? 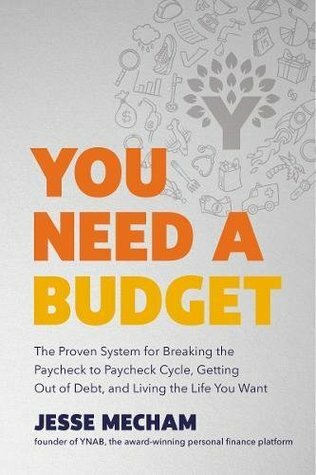 Jesse Mecham has come out with his book "You Need A Budget" and helps to lay out a working system for budgeting your money. This book is an eye opener for anyone who feels as though they are living paycheck to paycheck. Whether you are just starting out or are established already in your job - putting a budget together is not a bad idea. The economy goes up and down, jobs end abruptly, and life takes turns that we are not always prepared for. Living paycheck to paycheck can be exhausting and stressful. It can cause fights, and bitter feelings - especially when you want to do something special, but the money is not there. Now, you can budget for everything! Jesse takes you through step by step on building a better budget, but this is not your run of the mill plan. YOU make the decisions on where the money goes. You are in control of everything. What is important to you? Where do you want your money to go? Asking yourself these questions, and putting the effort into building a life that you want, while getting out of the rat race of the paycheck to paycheck system, you can start seeing results and building the nest egg, or planning for those special events or vacations that you are wanting to take. The biggest theme through this book is YOU. Budgeting is such a hard thing to do, but necessary in this day and age. There are many who get hit with government shut down, lay-offs, health issues and more. Budgeting now can help to ease the burden when it comes to having to cut back, or wait. This has never been my strong point. In fact, my husband and I have been discussing the need to budget out more, especially as we are attempting to tame the dragon known as student loans. I have quite a few, and we have slowly been chipping away at them, but having a better plan in place, would allow us to not only chunk down a little more on them, but plan for the things that we are wanting in the future. We have to start thinking college funds for two kids, eventual moves, car issues and more. While we can put a little away here and there, it seems that something always pops up to demolish what we have set aside. By using this system, I feel more confident in moving forward and building a stronger future. The war for Independence has long been glorified in our history books. 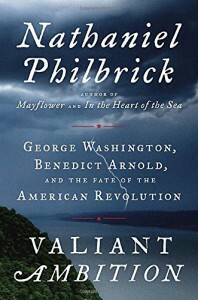 However, Nathaniel Philbrick looks through the layers and brings us a untarnished view on the history of the war. George Washington and Benedict Arnold were two men that became legend during the war. While the war raged on, the two men could not have been more different. Washington worried about the army as the whole and suffered from indecision. Arnold thought of himself and what he could gain from the war. Two men who had greatness before them, but who could not have been more different in their mindsets and goals. Benedict Arnold became one of the greatest traitors in the history of the United States, and his defection could have demoralized the entire army. However, Washington had been turning the war around, and those who had once been detractors of the Commander in Chief were realizing that he was the only one who could effectively lead the army. Arnold wanted to enrich himself, and come out of the war as a hero, but his actions can speak to anything but. Instead of working toward the betterment of his country, he became a turncoat, and began to work with the enemy, with the urging of his second wife, Peggy. This is one of the best books on the American Revolution that I have read. While Benedict Arnold and George Washington are the two main characters, there is so much more present. The highs and lows, the good and the bad are all played out on the pages, and no one is spared. From the Continental Congress, to the French allies - every leaf is overturned to give a comprehensive view and greater understanding of what lead to the defection of Benedict Arnold. I would highly recommend this book to anyone who wants a deeper understanding of the war, and the men who's names have become entwined in history.